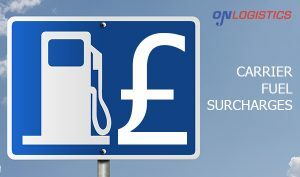 The fuel surcharge applies to transportation charges on all of OnLogistics services. OnLogistics reserves the right to change the fuel surcharge with or without notice. Both the amount and duration of the surcharge will be determined at OnLogistics's sole discretion. If you have any questions please contact the OnLogistics team on 01827 251 222.